In episode 163 of The Astrology Podcast astrologers Jo Gleason and Adam Elenbaas join the show to discuss horoscope columns, the process of writing them, and why they are still an important and useful tool for developing one’s skills as an astrologer. I had been thinking about doing a set of monthly horoscopes for a while now, thinking that it would be an interesting challenge, and also wanting to broaden my audience a bit in order to bring more people into the astrological community. Last week I decided to give it a try, and did a series of monthly horoscopes for each zodiac sign through my channel on YouTube, and focused on interpreting them primarily relative to each rising sign using whole sign houses. The process of actually doing a horoscope column for the first time brought up a lot of interesting thoughts and issues, and so I wanted to talk to Jo and Adam about it, since both of them have developed expertise in this area. Jo is the Vice President of the Association for Young Astrologers, and she has been a shadow writer for several horoscope columns. She wrote a thread on Twitter in June encouraging more astrologers to try writing horoscopes, and also wrote a post on her blog recently titled Why I Still Read My Horoscope. Adam teaches and writes regular astrological forecasts each week through the Nightlight Astrology School, and also writes the monthly horoscopes for Astrograph. 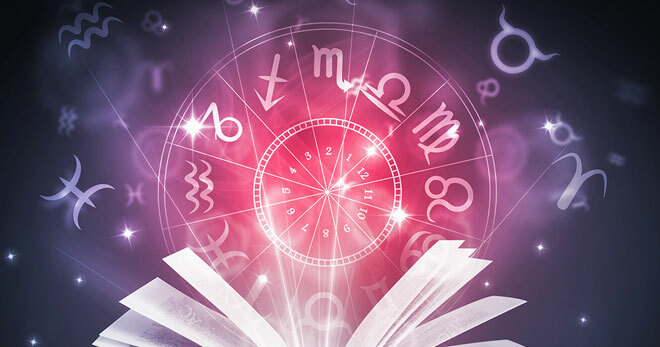 During the course of the discussion we talk about how horoscopes can still be legitimate or useful even despite how simple they are compared to advanced astrological techniques and forecasting. We also talk about how horoscopes are written, and some of the unique challenges that are involved. The recording of this episode is available in both audio and video versions, and you can find links to both below. When I started going deeper into astrology a year ago, I realized that why it (and horoscopes I read, daily to annual) resonated with me more strongly than some other people might be in part that my sun and rising sign are the same (Cancer). I don’t know enough to say, but it also seems like it could be relevant that while my moon is not in Cancer, it is in the 4th and in another cardinal sign (Libra). Thanks for this discussion, I appreciate the points and perspectives that were raised and that juicy old argument: is astrology empirical science or divination? I tried writing weekly sign-based horoscopes for almost a year, but it never got a readership that made it worth it for me. Though I wasn’t expecting them to be wildly popular, as they were poetic and meant to undermine the ego’s usual way of seeing things. It was an ode to Soul (for the Hillmanians) and I called them “imagiscopes.” I had some very enthusiastic readers, though, who did connect to it and used them to (dis)orient in the vales of life. Unfortunately, writing twelve ego-subverting poems a week based on analyzing twelve charts just took up too much time as a giveaway with so few takers. I love this episode! I’ve been writing daily “astro-weather” posts for a few months and it has been an excellent exercise. I’m considering diving into the monthly horoscope pool. Thanks!